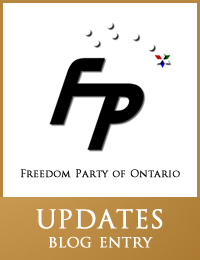 March 29, 2011 – Radio Interview: Freedom Party leader Paul McKeever was a guest of the John Oakley Show (AM 640 Toronto). Oakley’s panel discussed a proposal to open Toronto’s first Africentric secondary school at Oakwood Collegiate Institute. Click here to listen. On the John Oakley Show (AM640, Toronto) Paul McKeever, leader, Freedom Party of Ontario discusses Freedom Party’s proposal to close Ontario’s race-based public schools. “The London-based Freedom Party of Ontario today announced that, in the October 2011 provincial election, party leader Paul McKeever will run in the riding of Elgin-Middlesex-London. 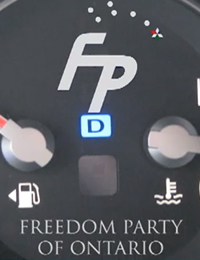 Freedom Party is the first registered political party to nominate a candidate for the riding…” Click here to read the full media release. 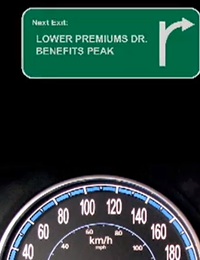 This video was released to promote the party’s 2011 election plank: Restore Fair Auto Insurance. Freedom Party of Ontario’s 2011 Election Plank: Restore Fair Auto Insurance. “As we drive to work this morning, many of us are wondering how we are going to pay our auto insurance bills. The evidence from Ontario and other jurisdictions is now clear: the no-fault system Ontario adopted in 1990 leads to skyrocketing premiums, and dwindling benefits. A 2011 election plank released today by Freedom Party of Ontario says a Freedom government would follow the lead of over a dozen other North American jurisdictions by ending Ontario’s failed experiment with no-fault auto insurance. A Freedom government would restore the pre-1990 full-tort system, under which an accident causes only the at-fault driver to suffer increased premiums…” Click here to read the full media release. This video was released to promote the party’s 2011 election plank: Eliminate Ontario’s Gasoline Tax. 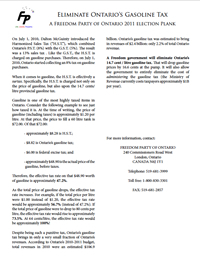 Freedom Party of Ontario’s 2011 Election Plank: Eliminate Ontario’s Gasoline Tax. March 2, 2011 – Paul McKeever interviewed by Andy Oudman, host of AM 1290’s (CJBK, London) London Today. The topic: skyrocketing gasoline prices and Freedom Party’s promise to Eliminate Ontario’s Gasoline Tax. To listen to the interview, click here.